Whether or not you agree that Davis should be in this category (I happen to be of the small minority who believes she does), we should all feel like winners when she glides up onto that Oscar stage to accept that golden statue. 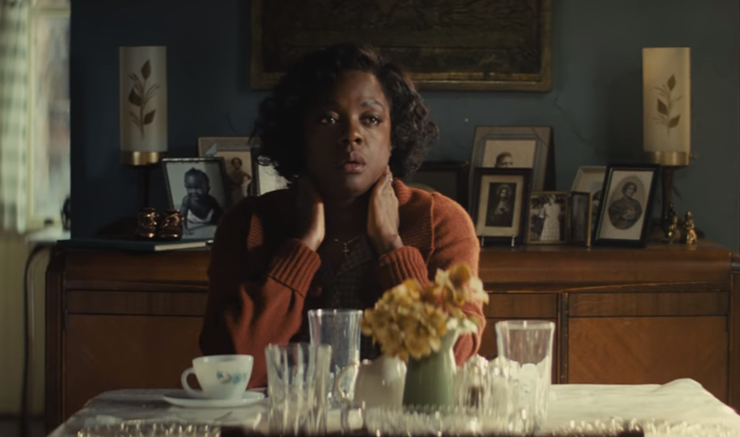 The scene that presumably clenched her nomination is the pivotal scene in the backyard when her character Rose finally lets Troy (Denzel Washington) have it, unleashing years of pent up frustration. But I think the scene later in the film when Rose approaches Troy at work and tries to reason with him, extending a final olive branch to which he denies, is the kind of heartbreak that just shatters you. Davis doesn't send a single tear in this scene. Instead, we just see her walk briskly away and around the darkness of the corner. It's perfect. There are two really important characters in this deeply human drama: Juan (Mahershala Ali) and Paula (Harris), the drug-addicted mother of the lead character. 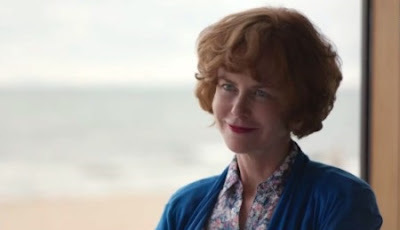 While I didn't always connect with Harris in this role, when Paula reappears years later in the film when an adult Chiron visits her at a home as it approaches its final act—with baggy eyes and grey-streaked hair—she embodies a sense of fatigue and regret that look like they could kill her faster than any drug. She doesn't even have to say much (she aims for redemption, however). Yet, for the first time in the whole film, we're finally ready to listen. At times it seems like director Garth Davis didn't know whose story he wanted to tell in this drama—Saroo's (Sunny Pawar and Dev Patel), the young man from India struggling to regain a sense of identity after being raised by two white Australia parents, or Sue's (Kidman), his adoptive mother whose maternal purpose could only be described as divine. When Sue is sitting at the dinner table with her husband (David Wenham) and her two sons (Patel) and Mantosh (Divian Ladwa), she is elation personified. Even when Mantosh acts deliberately defiant, while it rattles her, she remains grateful for the life she's had—challenges and all. It's such a proud statement of motherhood. Those folks who want to reduce this to a "feel good film like La La Land" are woefully missing its far more important commentary on the role and treatment of brilliant women of color in the workplace, and its persistence today. 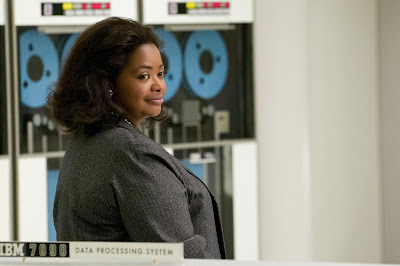 Which is why when Spencer's character, NASA mathematician Dorothy Vaughan, responds to her "well-intentioned" supervisor Vivian's frivolous remark, "I have nothing against y'all," with "I know you probably believe that," it's so wonderfully defiant yet pointedly subversive. It comes right after the employee restroom had become integrated and, well, white folks like Vivian were feeling a kind of way about it. It's a nod to the film's overarching message that black brilliance is an act of activism, and it's amazingly executed. Throughout most this film, Williams is kind of background noise. We either see her, Randi, a young mom in Greater Boston, lying in bed blowing her nose, yelling at her husband (Casey Affleck) to shut the bleep up before he wakes the kids when he's running amok with his drunk buddies in the basement, or just...not there at all. It's not until toward the end of the film, when Lee (Affleck) reunites with her years later at a funeral, she takes one look at him and her face just fills with overwhelming sadness. And it wasn't even over the fact that they're at a funeral! Her despair takes you completely out of the scene yet you can't take your eyes off her. I agree with all of these, but my favorite for Michelle was when she finally talks to Lee about what happened and cries. That was the first bit of emotion I felt in that film.